After helping hundreds of customers design and create high-quality custom printed tissue boxes for their tissue products we’re sure that at Business Image Printing we have the tools and skills to help create the perfect custom packaging for your tissue product packaging needs. Featuring state-of-the-art technology and a team of dedicated and seasoned experts you can be confident that the quality of your product’s future custom packaging will be top-notch. Not only do we offer high-quality custom printed boxes and packaging at affordable prices but we also give you the option to completely customize your custom packaging in almost any way from the box’s design to what’s printed onto it, whatever you want to print out, we can make it. Either chooses from our selection of pre-designed box templates that have become staples for many tissue boxes or perhaps you might even want to design your unique box design to make your product stand out even further from the competition. 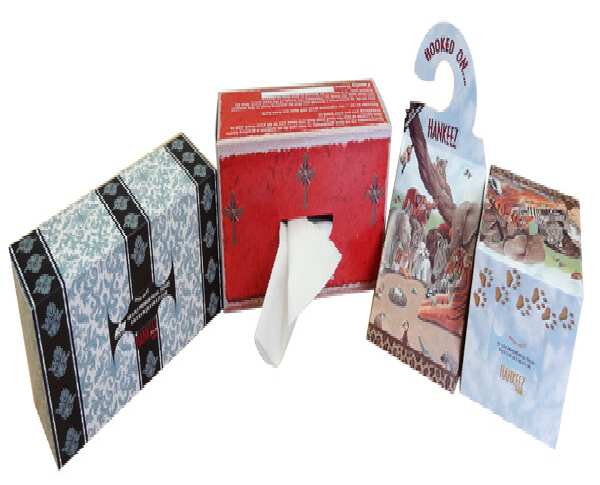 Either way, you can be assured that way to making the perfect custom printed boxes and packaging for your tissue product is to go to Business Image Printing. For more information regarding any special additional features such as spot UV coating, hot stamp foiling, or embossing, feel free to contact us for more details.